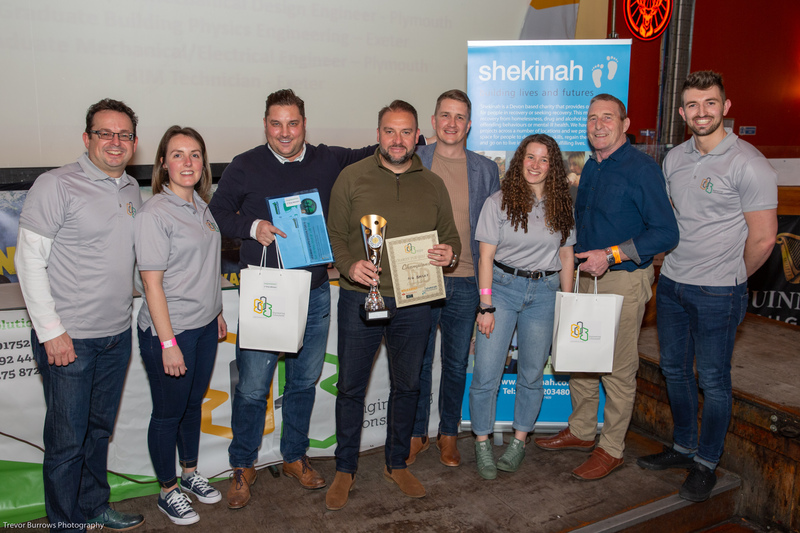 Engineering consultants, Services Design Solution Ltd (SDS) held their 5th annual charity pub quiz at the Walkabout Pub in Plymouth and raised a staggering £5,000 for Shekinah. 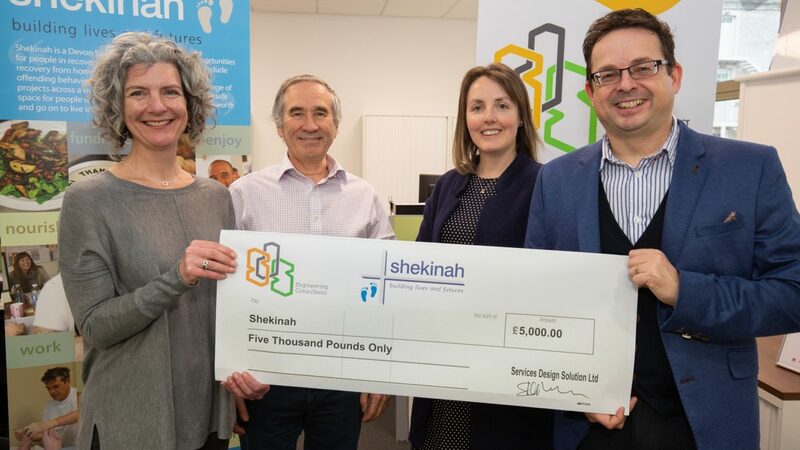 Shekinah are a local charity offering support and training opportunities to those suffering from poverty, homelessness, substance abuse and mental health issues. 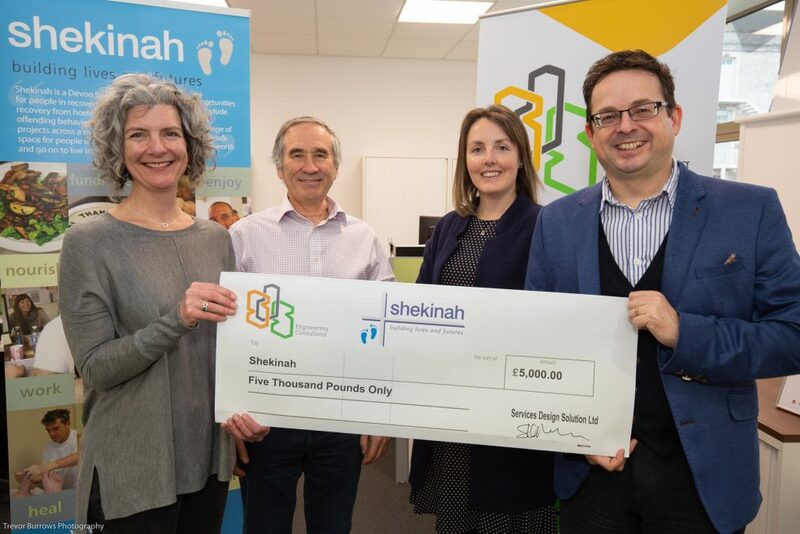 John Hamblin – Chief Executive of Shekinah – gave a presentation about the work of the charity and said the money raised will support the work Shekinah does in ending rough sleeping and helping people improve their lives away from the streets. 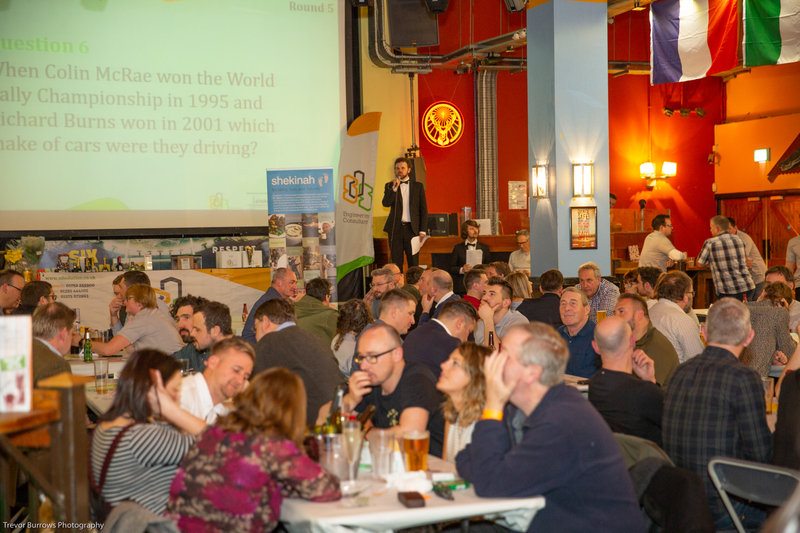 There was a total of 29 teams at the quiz, comprising engineers, contractors, architects, project managers and clients, who enjoyed a fun, well-organised evening. 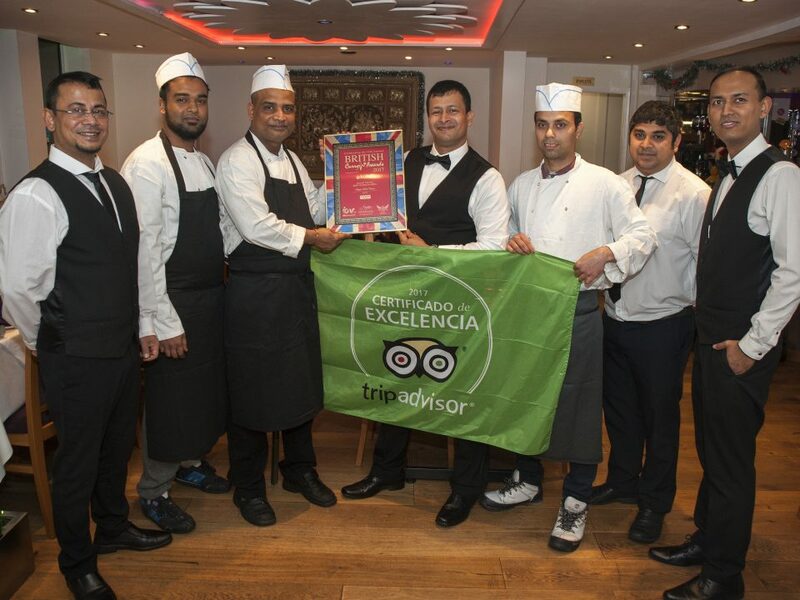 Deserving champions of the night were engineering and services provider NG Bailey. 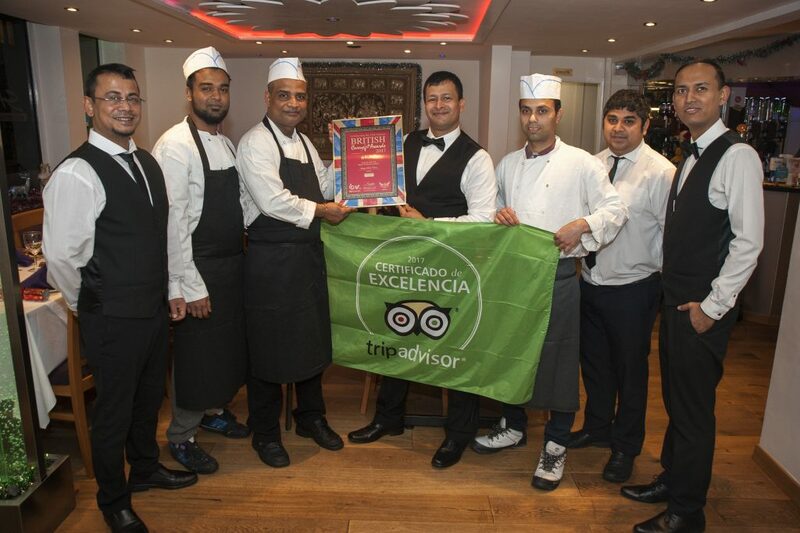 Members of staff from the Santander bank helped out on the night by selling raffle tickets and present and generously contributed £1000 to the total amount raised promised to match fund up to a certain amount. Local photographer Trevor Burrows was also on hand to capture the evening’s highlights. Following on from the quiz, there was an impressive raffle of prizes donated by the teams, ranging from a day trip with lunch on a yacht and an X-Box console to shopping vouchers and bottles of champagne and gin. 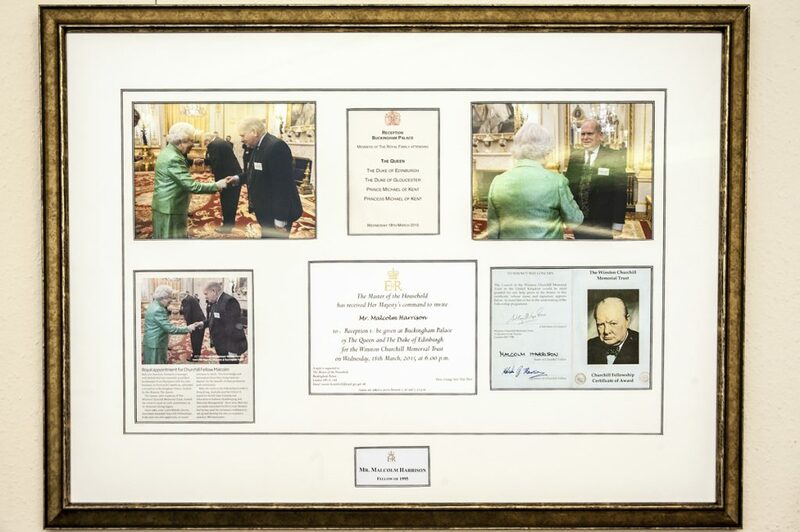 SDS, whose head office is in The Millfields, is committed to ensuring that they contribute positively to the community. 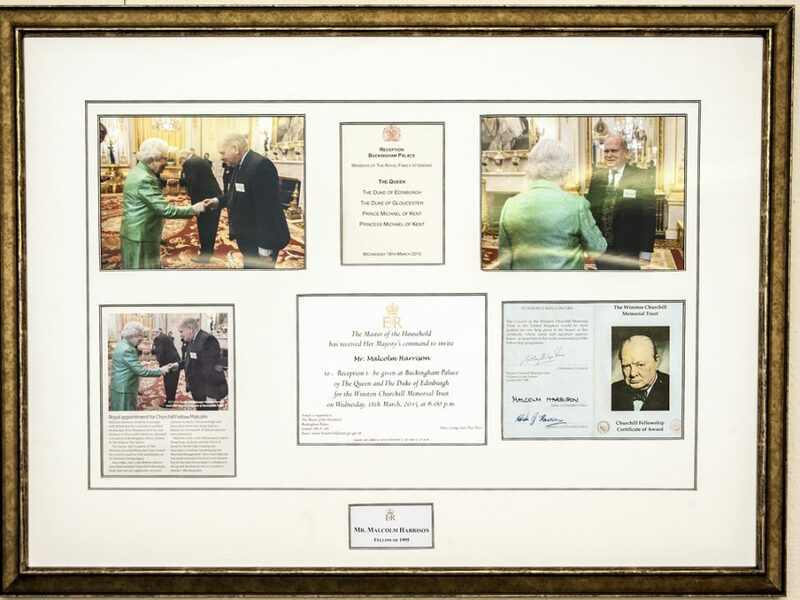 In addition to supporting local charities, they provide mentoring and work experience schemes for aspiring engineering students. SDS also take part in the ‘Building Plymouth’ initiative to encourage careers in construction, and they currently have six apprentices across their offices in Plymouth, Exeter and Bristol.